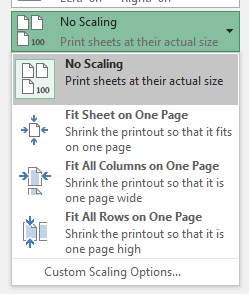 Sometimes you need to scale a large document in Excel before printing. 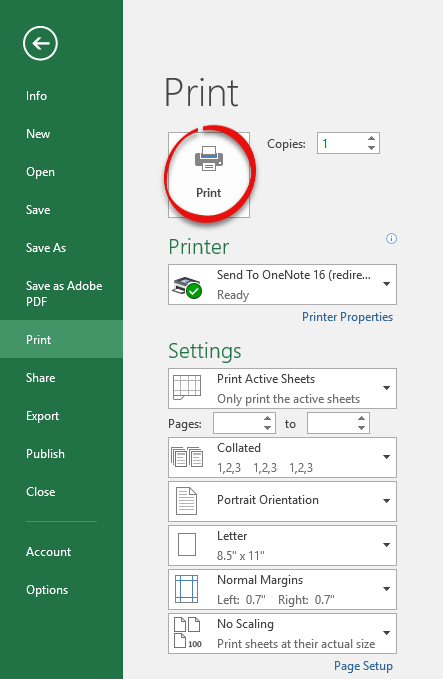 Step 1:Open Excel.Step 2:Open the document that you wish to print. Step 3:Go to Page Layout on the ribbon, and find Scale to Fit. Automatic is the default setting. This will print the columns and rows to match the font size of the content without regard to the number of columns or rows in the document. Most often, you will want to adjust either the width to match the number of columns or the height to match the number of rows before printing. 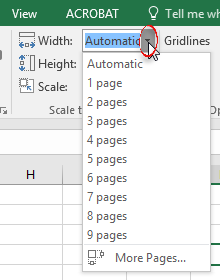 By changing Automatic to 1 Page, all columns or all rows will appear on one page making it easier to read. Step 4:You can change the width to any number of pages you want it to fit on. 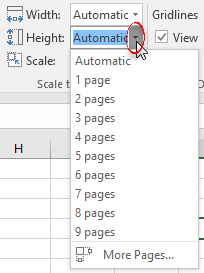 Step 5:Similarly, you can change the height for the number of pages. Scaling height can make the document hard to read. You can use Landscape for a better look. This can be edited in Page Layout as well under Orientation in Page Setup. 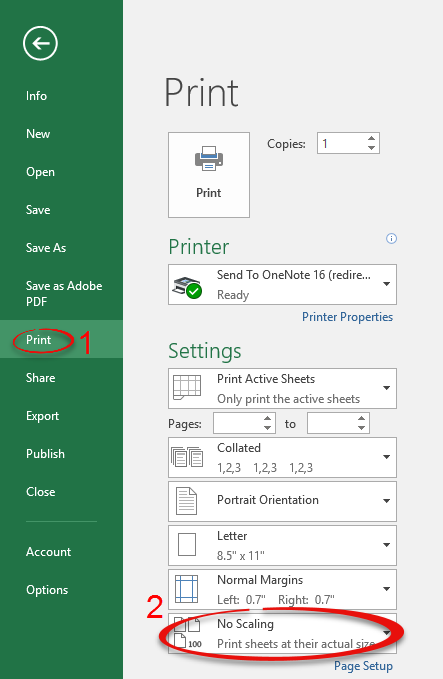 Step 6:Under the File tab, go to Print. and click Scaling. Step 7:The scaling option may be labeled No Scaling for now until you choose a different option. By clicking Custom Scaling Options at the bottom of the list, you can change scaling and choose page orientation. Step 8:You can also change the Orientation by selecting the Orientation dropdown box. 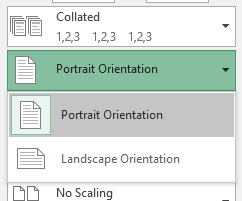 It may be labeled Portrait Orientation for now.You can choose a different orientation option that best fits your data. We recommend Landscape if you select Fit All Rows on One Page. We recommend Portrait if you select Fit All Columns on One Page. Step 11:Double check that your document appears as you would like it to with the viewer on the right. Then click Print.